Wednesdays: Through the Holy Heart of St. Joseph: Guardian of Virgins, Pray for Us! God calls us to profound purity. In both the Old and New Testaments scripture is replete with exhortations to “Be Holy as I am Holy (Leviticus 11: 44),” and “Be Holy as your Father in Heaven is Holy (Matthew 5: 48).” Likewise in both Testaments we find examples of deep contrition as sinful human nature is confronted with an invitation to encounter the living God. Scripture indicates that God is “Holy, Holy, Holy,” and that nothing which is unclean can exist in His presence and enjoy eternal beatitude with Him forever. Thus, to achieve our destiny to love, honor, serve and obey God in this world so that we can perpetually share eternal bliss with Him, we must strive for the profound purity to which He directs our hearts. Our good and loving God knows well the challenge posed by His call to “be Holy as He is Holy.” He understands and sympathizes with our fallen nature, and sends us an abundance of grace to overcome the temptations of this transient world. In St. Joseph, God offers us an outstanding illustration of personal purity. God Our Heavenly Father chose the virtuous St. Joseph to be the guardian of the purity of the precious Holy Family. Under the title “Guardian of Virgins,” St. Joseph offers us a shining example of the value of chastity. Through his holy intercession we have a magnificent channel of grace available to aid in overcoming the myriad of obstacles to virtuous living that confront us each day. Like the four arms of the cross, there are four particular areas of chastity to which we are called: that of body, mind, heart and spirit. Accepting the challenge of personal purity is a cross we each bear, but is not one that is either unreasonable nor impossible. (1) “Dearly beloved, I beseech you as strangers and pilgrims to refrain yourselves from carnal desires which war against the soul (1 Peter 2: 11).” Bodily purity is the most obvious type of chastity to which we are summoned. Perhaps as in no other time in human history are the affronts to personal purity more evident than they are today. Our culture prizes the sensual and scorns the virtuous. Through the media we are bombarded with a constant flow of licentious images. What decades ago would have been condemned as pornographic, today boldly confronts us (and our children) in glossy displays in the checkout aisle at the corner grocery store. This daily barrage of titillating filth can numb us to beauty of modesty. Supernatural help is both necessary and available in this war between the spirit and the flesh. The Blessed Virgin stands ever ready to assist us in overcoming these assaults to morality. God’s mercy is unfathomable, and should we fall He stands ever ready to forgive our failings. 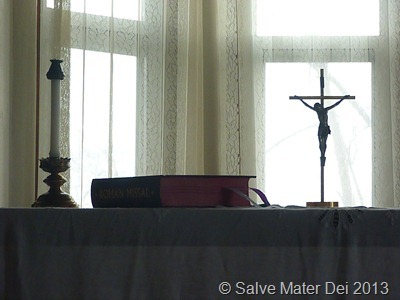 Prayer, penance and sacramental confession are effective remedies for the temptations of the flesh. 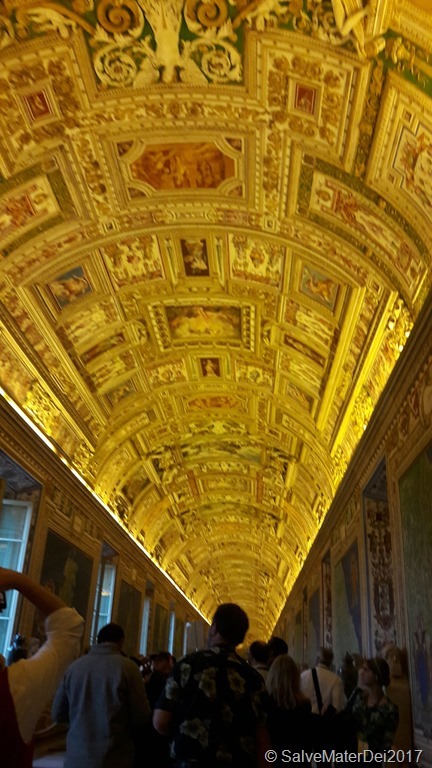 (2) “But I say to you, everyone who looks at a woman with lust has already committed adultery with her in his heart (Matthew 5: 28).” It is often said that the eyes are the window to the soul; yet, like any window the flow of light (or darkness) is bidirectional. Purity of mind is perhaps even more challenging to achieve than purity of body, yet the two are intimately linked. For if one cultivates a garden of impure thoughts, these thorny weeds are rarely content to be contained merely in the mind, and soon one finds them creeping into the realm of the flesh. Scripture offers the following: “I made a covenant with my eyes that I would not so much as think upon a virgin (Job 31:1).” Thus when one consciously decides to spend time in prayer, and reflects with gratitude on the beauty and goodness of God, these fruits too spill over into everyday life. With humility we are each called to tame our eyes and purify our minds. (3) “Who shall ascend the mountain of the Lord: or who shall stand in His holy place? The innocent in hands and clean of heart (Psalms 24: 3-4).” What does it mean to be clean of heart? We associate the heart with love, thus to be clean of heart can be viewed as loving that which pleasing to God. God is love (1 John 4: 8), and when our hearts are directed to that which is pleasing to God, we share in His Divine love. Yet, when we choose to love those objects which are unworthy, we reject His Love. Through the discipline of this season of Lent we are particularly invited to ask our Lord to create in us a clean heart. As we journey toward the Pascal Mystery, our hearts are being shaped to respond in kind to the Love that is offered for each of us on the cross. (4) “Blessed are the pure in spirit, for theirs is the kingdom of God (Matthew 5:3).” An object that is pure is undivided, unsullied. Likewise a pure spirit is one that is undivided: it exists solely for God. In contemplating the life of St. Joseph, we find a man whose love was undivided, at each and every trial he actively sought to do the will of God. We too are called to this level of purity. O Guardian of Virgins and Holy Father Joseph to whose faithful custody Jesus, Innocence Itself and Mary, Virgins of Virgins were committed, may I, with Joseph’s help, continue to serve Jesus and Mary with pure heart and chaste body all the days of my life. Amen. Grant, O Lord, that we may begin with holy fasting this campaign of Christian service, so that, as we take up battle against spiritual evils, we may be armed with the weapons of self-restraint. 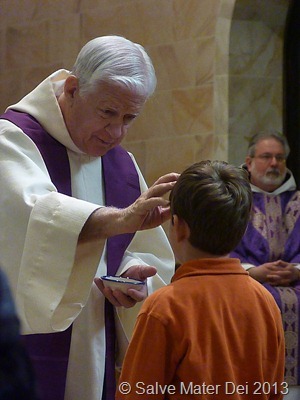 Through our Lord Jesus Christ, your Son, Who lives and reigns with you in the unity of the Holy Spirit, one God, forever and ever (Collect from Ash Wednesday Mass). 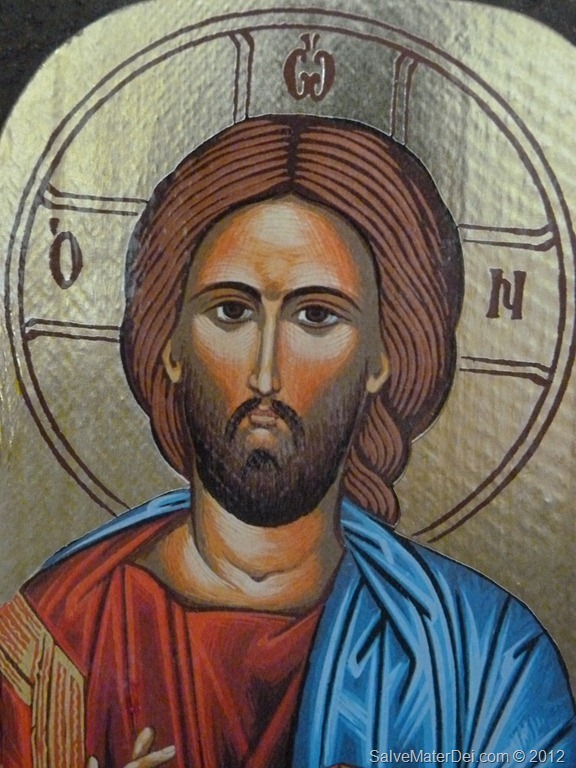 Today we are bid to embark upon a 40-day sojourn with Our Lord Jesus Christ: an intense period of repentance, prayer, penance, fasting and alms-giving. As we accompany our Lord along the Way of the Cross, we are invited to deepen our relationship with Him – we are summoned to allow Him the opportunity to exchange our stony hearts for natural hearts. Neither Our Lord – nor His Holy Church – forces us to repent and change our lives – we are merely invited. The decision is ultimately ours; yet should we choose to accept the summons, and spend these brief winter’s days striving to encounter our Lord, our lives will never be the same. We begin the journey marked with the Sign of the Cross as ashes are placed upon our foreheads. 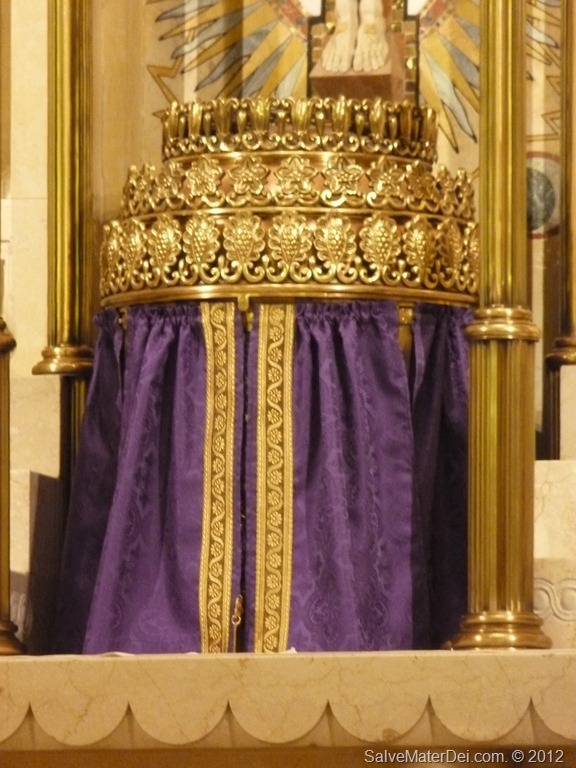 This visible sign is sealed with the verbal challenge to “repent and believe in the Gospel,” and to “remember you are dust and to dust you shall return.” Before the ashes are distributed, they are solemnly blessed by a priest. Dear brethren, let us humbly ask God Our Father that He be pleased to bless with an abundance of His grace these ashes, which will be put on our heads in penitence. 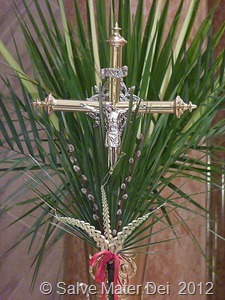 O God Who are moved by acts of humility and respond with forgiveness to works of penance, lend Your merciful ear to our prayers and in your kindness pour out the grace of Your blessing on Your servants who are marked with these ashes, that as they follow the Lenten observances they may be worthy to come with minds made pure to celebrate the Pascal Mystery of Your Son. Through Christ Our Lord. Amen. (Daily Roman Missal). 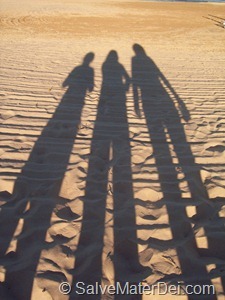 The metaphor of a spiritual retreat, a sojourn through a spiritual desert, is often applied to the Lenten journey. Just as Christ spent forty days in the desert engaged in intense prayer and fasting, we too are asked to follow in His footsteps. This week I have been prayerfully contemplating my own Lenten journey, I concluded that I need the spiritual support of a guide. I need the intercession of one whose Holy Heart has already been perfected, and one whose protection and guidance I may securely rely upon. My thoughts of course turned to St. Joseph. Scripture tells us that St. Joseph was a “just man” (Matthew 1:19). In his compassion, he sought to do what was right and pleasing to the Lord – even in difficult circumstances (Matthew 1: 20-24, Matthew 2:13-14). 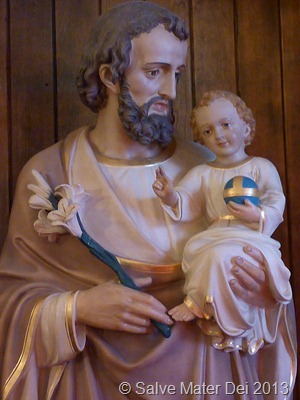 St. Joseph, Be My Protector and Guide! © SalveMaterDei.com 2013 (EA photo). Like so many other beloved servants, it was through trial and suffering that Our Lord chose to perfect St. Joseph as a smith refines the finest silver. I’ve been told that as a silversmith refines an object of silver, he carefully heats it in a flame. The smith must be careful not to overheat the desired object because silver tends to oxidize, and if he is not careful the piece can be ruined if it is left in the flame too long. Thus, the silversmith must be attentive to the process of perfection: his eyes must always remain on the object he is attempting to refine. When the purification is complete, it shines with brilliance, and smith’s own image is beautifully reflected in it. Thus it is with God. Just as He refined the Holy Heart of St. Joseph through trial and suffering, He offers to perfect each of our human hearts as well. In submitting to the loving hands of the Master Smith, our hearts will bear the beautiful reflection of His Divine visage. 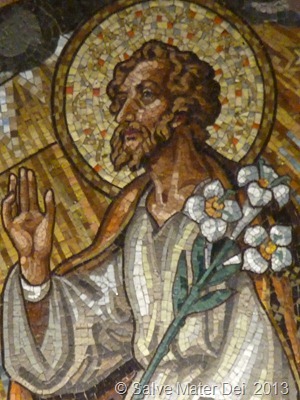 St. Joseph was uniquely qualified for his mission here on earth. He was immediately obedient, accustomed to hard work, chaste, willing to seek the Will of Almighty God in each and every situation. St. Joseph listened more than he spoke, and was ever willing to set aside his own personal plans and in favor of fulfilling the design of God. Scripture tells us that when the Angel of the Lord appears to St. Joseph in a dream and bids him to “Rise, take the Child Jesus and His mother, [and] flee to Egypt and stay there until I tell you (Matthew 2: 13),” St. Joseph immediately complies with the command of the angel. Likewise, when the Angel of the Lord reappears in a subsequent dream and announces: “Rise, take the Child Jesus and His mother, and go to the land of Israel, for those who sought the Child’s life are dead (Matthew 2: 20),” again St. Joseph acts immediately and decisively in accordance with the summons of the angelic messenger. Scripture indicates that Joseph again responded to yet another dream and settles with his Holy Family in Nazareth. The Israelites wandered in the desert for forty years as a result of their disobedience and hard-heartedness (Numbers 32: 11-13). Remember how for forty years now the Lord, your God, has directed your journeying in the desert, so as to test you by affliction and find out whether or not it was your intention to keep His commandments. He therefore let you be afflicted with hunger, and then fed you with manna, a food unknown to your forefathers, in order to show you that not by bread alone does man live, but by every word that comes from the mouth of the Lord. The clothing did not fall from you in tatters, nor did your feet swell these forty years. So you must realize that the Lord, your God, disciplines you even as a man disciplines his son (Deuteronomy 8: 1-5). These forty years of wandering and discipline stand in stark contrast to the journey of St. Joseph and the Holy Family. 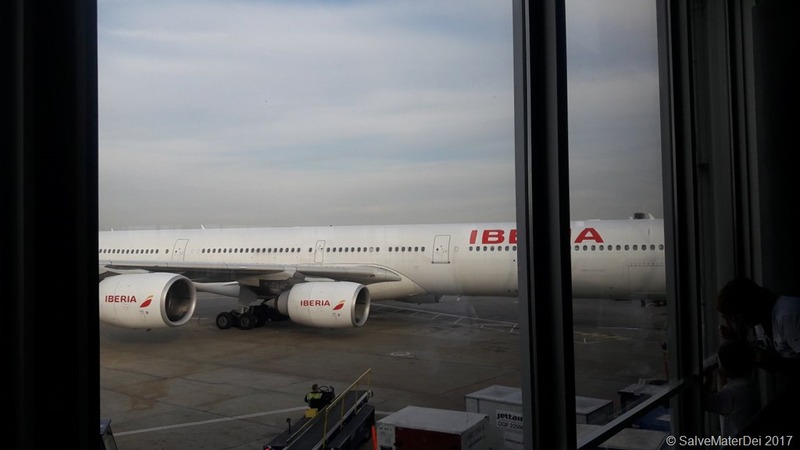 While that is not to say their journey was at all easy, it certainly didn’t take forty years. For some objects of silver, the Master Smith must refine them in the flame a bit longer than others…. As I embark upon this Lenten journey through the spiritual desert, I am going to consciously chose St. Joseph and invoke his intercession and aid. Cognizant that he traveled with Our Blessed Lord and Lady, I am sure that he will have the grace to protect me through whatever trials the Lord deems necessary to purify my being as I endeavor to reach the Pascal celebration with a pure and holy heart. 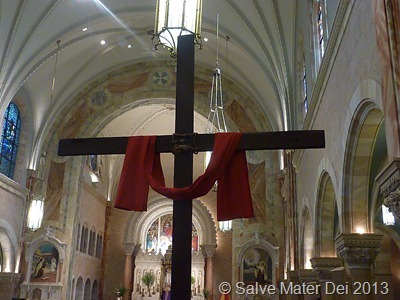 As I embark upon this Lenten journey, help me to realize that I am not alone. Hold my hand, and guide my steps as you did so long ago for Jesus and Mary. Protect my heart from distractions and dangers as I traverse the sands of time. Teach me to surrender fully to God’s providential care, and to respond immediately to His summons. Help me to repent of the past, and embrace the present in a spirit of prayer and penitence, as we journey toward the Resurrection of your Divine Son. May I learn to embrace Jesus and Mary with love like yours, and may my heart swell to fully reflect the image of the Risen Christ when my journey is complete. 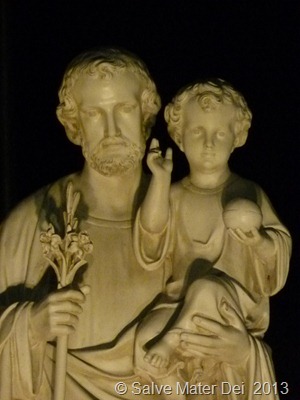 St. Joseph, foster-father of Jesus, protector of the Holy Family, be my guide! Passion Sunday is here, and with it the holiest week of the year has begun. We initiate this day in triumph, though tinged with foreboding sorrow. As the week progresses, the mystery of salvation becomes palpable. We are called to get out of our easy-chairs and to refrain from being mere spectators of the Passion of Christ. Rather, we are called to become active participants in salvific suffering of Our Savior, and in so doing, to take up our cross and follow Him. Shout for joy O daughter Jerusalem! We are called to be there holding palm branches as He is honored and glorified and the dignity of His Divine mission recognized by mere humanity. Yet, this is only the beginning. 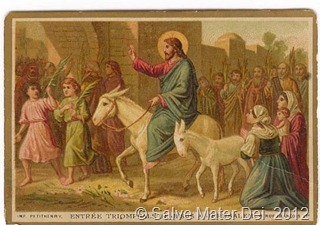 Will we also turn away, and betray Him, as did the crowd who greeted Him on Palm Sunday, only to reject Him on Good Friday? No, we are called to go further; to experience His Passion, to live in His Love, and walk beside Him every step of the way. 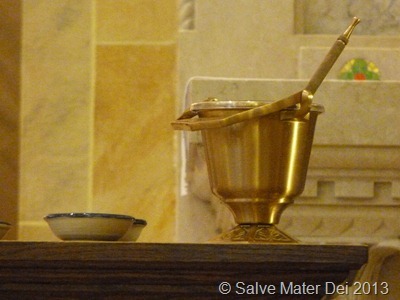 We will be there as the repentant sinner breaks the alabaster jar or perfumed oil, costly genuine spikenard, anointing His body as if in preparation for burial (Mark 14:3). Like her, we are call to repent of our sins, to find a tangible way of expressing our contrition, and live anew. We will be there at the Last Supper, hearing Our Lord say: “Take and eat, this is My Body (Mark 14:22).” Our Lord’s institution of the sacrament of Holy Eucharist began the night before He died, yet by the miracle of His Grace, we may continue to receive His Body, Blood, Soul and Divinity, as often as we are prepared. This week, we are invited to realize the significance of this enormous grace. We are called to participate in His Passion. This week we will witness His betrayal, and in so doing consider those times we have not been faithful to the dignity of our own Baptismal promises. Like Peter, we will regret denying Him with our words and actions. And like Peter, if we turn to Him in sorrow, we will find His unfathomable Mercy. Standing shoulder to shoulder with those who mock our Lord and cry “Crucify Him,” our hearts will be torn, and our souls ache. 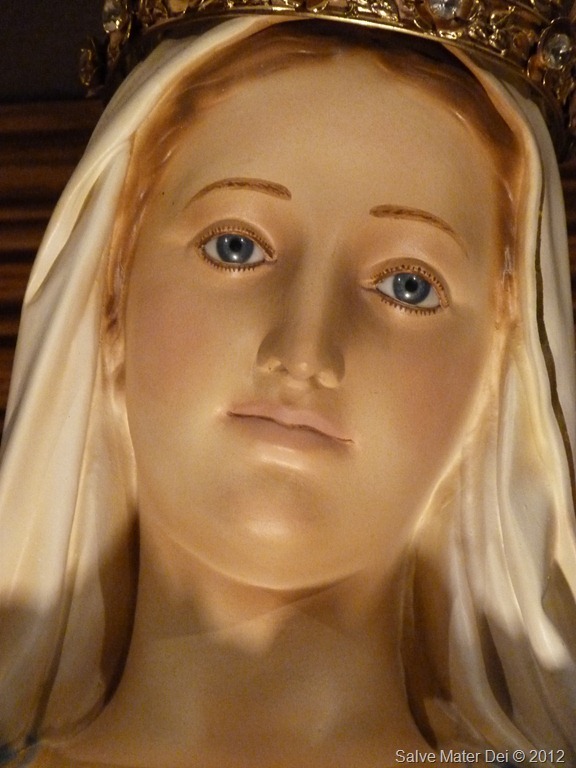 We will contemplate the tear-stained face of Our Beloved Mother, Mary, as she beholds her Divine Child. Our hearts will beat in unison with Hers as we share her immeasurable pain. We will see Him fall, and like Mary, we will be unable to offer physical assistance the strength of our humble prayers will be the only comfort we can provide. As the nails are pounded into His flesh, the blows will resonate within our own. 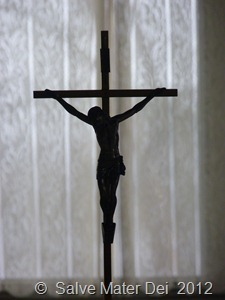 Standing beneath the cross, we will hear His last words, feel the earth quake, and sense the darkness of the sky. He will give Mary to us as our Mother, just as He gave her to John. With her, we will hear Him take His last breath and surrender His soul to God, His Almighty Father. 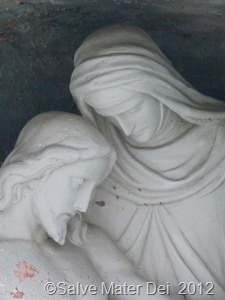 With grief we will contemplate the Virgin tenderly caress the lifeless body of her Divine Son, Jesus. Our tears will mingle with hers, as we help to prepare His corpse for burial. As He is laid in the stone, cold tomb, we will lay aside our former selves as well: knowing that if we have died with Him, we shall also rise with Him. Holding fast to that promise, with Mary, we will silently wait for the joy of the Resurrection. God has a way of highlighting the relevance of His Word. 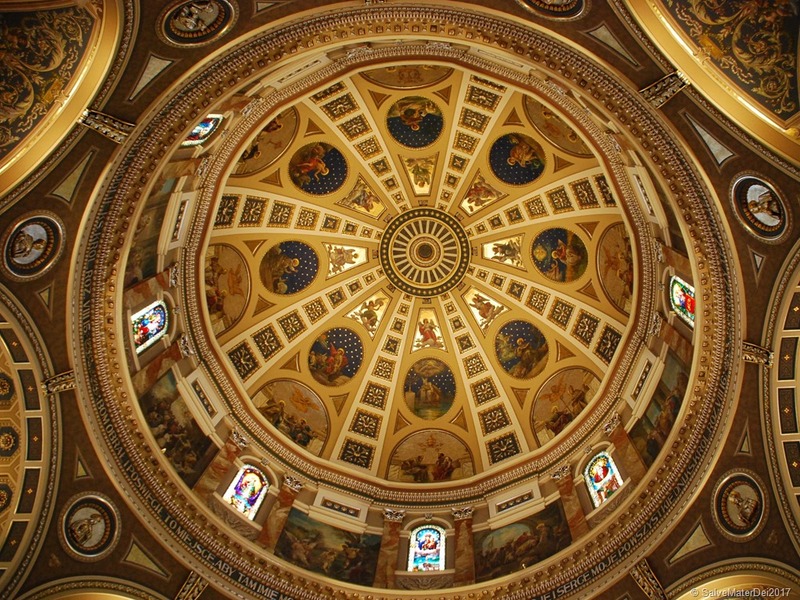 This morning, as I opened the Divine Office and began the reading for the Fifth Saturday in Lent, I was immediately struck by its relevance to the current political ruckus and our cultural rebellion against everything that is sacred. “I said: Here I am! Here I am! To a nation that did not call upon my name. Who walk in evil paths and follow their own thoughts. Yet, this generation is not unlike those in ancient times. We too are a “stiff-necked people.” We continue to be a “nation that did not call upon my name.” Our nation is currently embroiled in a debate regarding religious freedom and politics. At the core of this debate is who we are as a people – are we a nation committed to life, or to death? The current fray over the HHS Mandate is just the most recent example of our nation’s willingness to turn its back on God. The path leading to the subtle erosion of codified religious freedom has been well trod. As a nation, we have consented to the slaughter of 50 million children since Roe-v-Wade made abortion the law of the land in 1973. Approximately 1.3 million babies die annually because, collectively, we as a nation have chosen to ignore His voice, and to embrace a culture of death. The culture of death distorts promiscuity as freedom, perversion as acceptable, and sickness as health. The bonds of marriage and family life are being redefined, as efforts advance to annihilate this most sacred bedrock of society. Pregnancy is categorized as a preventable disease; the innocence of childhood is destroyed within the hallowed halls of educational institutions. 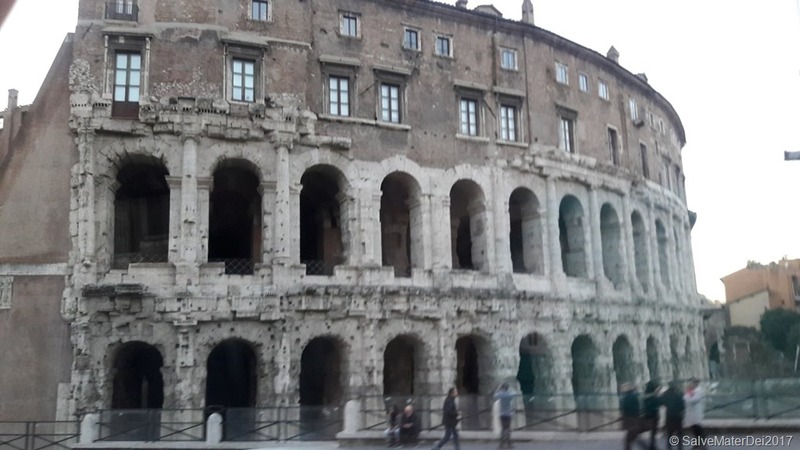 The preciousness of life has been so cheapened that death becomes brokered by professionals whose Hippocratic oath has become nothing more than a mere symbol of an abandoned set of iconic ethical principles. Each of these realities has found legal expression and government oversight. As tax payers we are put in the untenable situation of funding those malignant social agendas we loathe and paying for those causes that splinter the rubric of a functional society. We are the people “who walk in evil paths and follow their own thoughts.” We are a people who choose to accept language which minimizes the reality of the sin to which we acquiesce. We have exchanged a love of wisdom for a lust of all that is sensual; and true piety for open ridicule of religious truths. How long will we choose to “provoke Him continually to His face?” As Holy Week approaches, let us endeavor to change our hearts. For as we begin to change ourselves, so too will our nation begin to change. He is still calling: “Here I AM! Here I AM!” It is for us to turn and answer Him. The Wheels on the Bus. 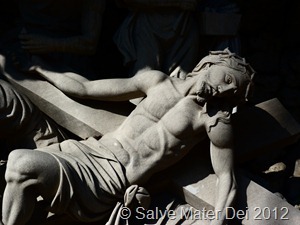 . . © SalveMaterDei.com, 2011-2012. Throughout the year I find myself yearning for sacred silence. This is never more true than during the season of Lent. The Daily Mass readings, as well as those Matins and Vespers of the Liturgy of the Hours, speak to my heart, compelling me to greater union with God. I long to spend hours conversing with Christ; adoring Him in the Blessed Sacrament, while contemplating the mysteries of our redemption. However, the whirlwind of daily duty takes precedence. The reality of potty-training the littlest one while coaxing the eldest to finish his Algebra, scrubbing floors, refereeing squabbling siblings (not to mention the 3 dogs) and sorting a bazillion socks relegates that much sought after sacred silence to an unrequited desire. 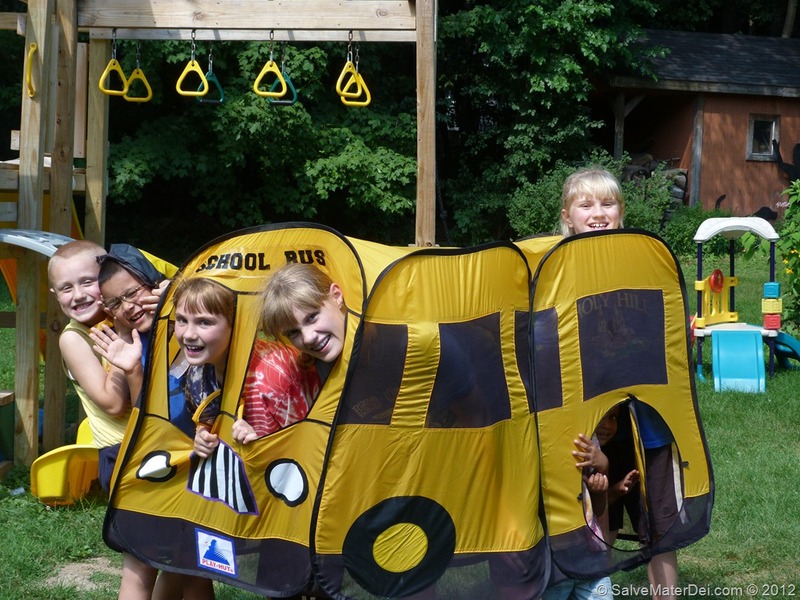 In His Wisdom, God placed my contemplative soul in the body of a homeschooling Mom of eight. Our busy home is the hallowed ground upon which I seek my own sanctification, as well as that of my family. Thus, while my soul craves sacred solitude, the necessity of surrender to daily duty is an ever-present reality. As the incomparable St. Therese once stated, “Love consumes us only in the measure of our self-surrender.” I am a work in progress. I know God must love me a lot. Not only did He bless me with a terrific husband, and eight lovely children, He continues to provide the daily challenges essential for sanctification. If Our Lord is sculpting a masterpiece from the marble of my soul, then the hammer, chisel, and sandpaper of daily life are as necessary in His vast eternal plan as the caress of His loving gaze. Like most seekers, there are days I feel that sandpaper and chisel more acutely than others. Thus, the need to balance an active family life – in the flux of the world – with a contemplative prayer life – within the shelter of my soul – is a perpetual challenge. I find it a daily struggle to juggle the demands and desires of both aspects of my being. 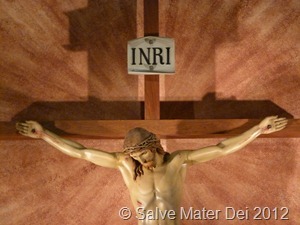 Abide in Me © SalveMaterDei.com, 2011-2012. The trepidation that accompanies driving 8 kids to morning Mass at Holy Hill, amid snow and ice, via the bucket of bolts (my 96 Suburban) we affectionately termed “Mom’s Bus” is probably not what St. Paul had in mind when he penned the directive: “Work out your salvation with fear and trembling (Philippians 2:12).” However, this admonition is one I take seriously. Without Holy Mass, daily Eucharist, and frequent Confession, the prospect of maintaining a placid, prayerful relationship with Christ, while living in the world would be an insurmountable task. Those moments of serenity are golden- the midnight rosary, a brief Adoration before Holy Mass, the joy of Holy Communion and a prolonged thanksgiving – all replenish my soul with supernatural grace. Armed with this treasure I am able to accomplish the tasks Our Lord has planned for me. As I strive to achieve an appropriate balance between the demands of daily duty, and the desire for contemplative union with God, I seek the counsel of those who have successfully achieved this goal. Among my favorite spiritual writers is a little known French Carmelite Friar- a lay brother, who died on February 12, 1691. Brother Lawrence of the Resurrection spent most of his religious life working in the kitchen of a busy Discalced Carmelite Monastery on the Rue de Vaugirard, in Paris. In this setting, he learned to balance the rigors of daily duty with an intense prayer life, and was rewarded with a profound union with God. His writings continue to guide spiritual seekers 300+ years after his death. 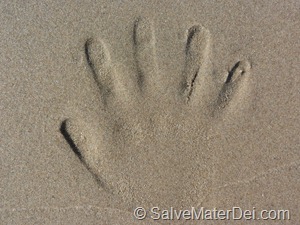 Live in My Love © SalveMaterDei.com, 2011-2012. Brother Lawrence developed an ability to live each moment in the Presence of God. Early in his monastic life, Brother Lawrence was assailed with spiritual darkness, and intense suffering. Like other spiritual greats (St. John of the Cross, Blessed Mother Teresa, St. Therese, St. Padre Pio to name a few), this Carmelite lay brother was acutely aware of his sins, feared damnation, and perceived himself as radically unworthy of the tremendous graces Our Lord chose to lavish upon him. This “dark night of the soul” was a tremendous trial for Brother Lawrence- but one he eventually conquered by surrendering it all to God’s Grace. This dedicated Carmelite endured intense anguish for a decade, at which time he vowed to endure this suffering for not only the remainder of his earthly life, but for all eternity if that were pleasing to Almighty God. Instantly, his spiritual chains were loosened, and he resolved to forever remain in the presence of God. 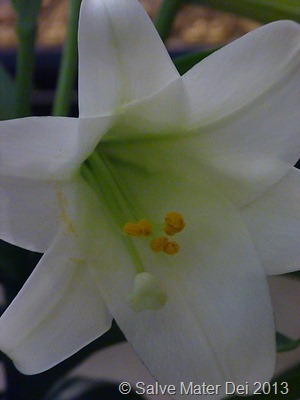 From that moment on, Brother Lawrence strove to live each and every moment cognizant of Our Lord’s intimate Presence. 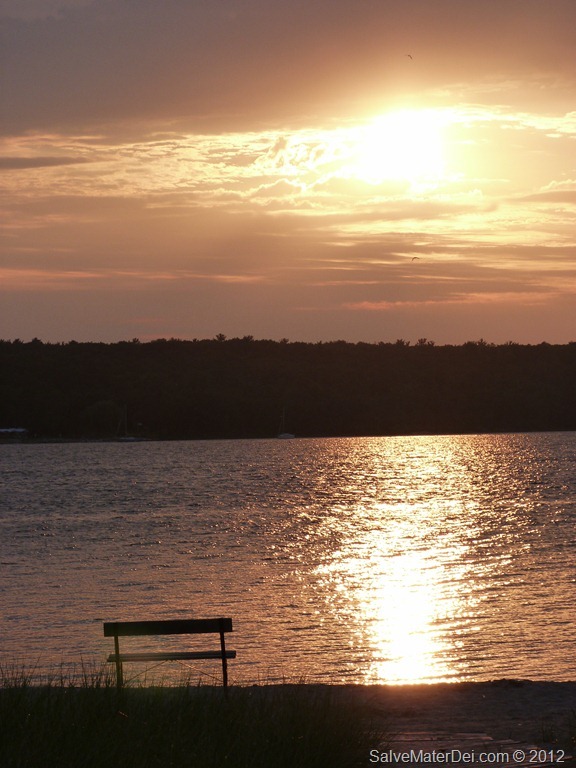 While this task was difficult early on, with humility and dedication, he found it possible to enjoy God’s presence in every moment of the day. With ardent desire, and faithful endeavor, Brother Lawrence found the secret of intense union with God, while fulfilling the necessities of daily life. He called this way of life “practicing the presence of God.” He passed each hour in heart-to-heart conversation with God, merely glancing in His direction when that was all duty allowed. Brother Lawrence lived each day in humility, enjoying a continuing conversation with a loving God. Other great Saints have also written about the sublime beauty of this path to intimacy with our Creator. In both her Interior Castle and Way of Perfection, St. Teresa of Avila details a straightforward path to sanctity, via an intimate relationship with God. 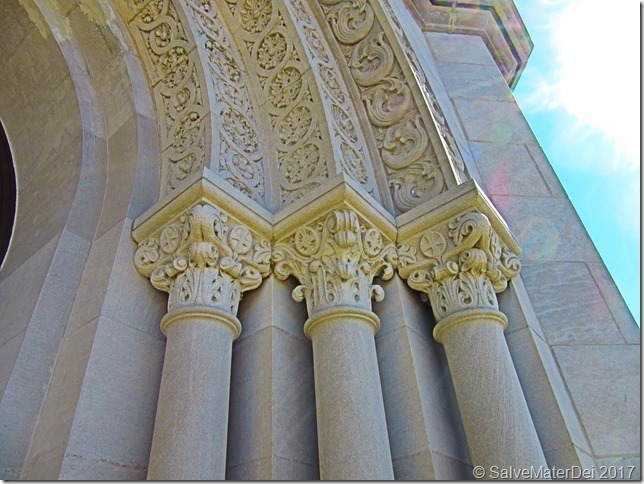 The simplicity and success of this time-tested approach to spiritual union cannot be argued. Yet, as these great contemplatives note, persistence and humility are required for spiritual success. Over the years I have stumbled upon many translations of Brother Lawrence’s work (Cosimo Classics and Whitaker Press are among my favorites) – in each the clear beauty of his message is conveyed. While out of humility Brother Lawrence attempted to destroy all of the letters and recollections written during his lifetime, his Abbot, Abbe de Beaufort, recognized their spiritual worth, and compiled what he could rescue into Practicing the Presence of God. Perhaps you may find Brother Lawrence’s simple wisdom as beneficial to your spiritual life as have I. As we continue to journey through the desert with Christ, may we always walk in the Presence of God. 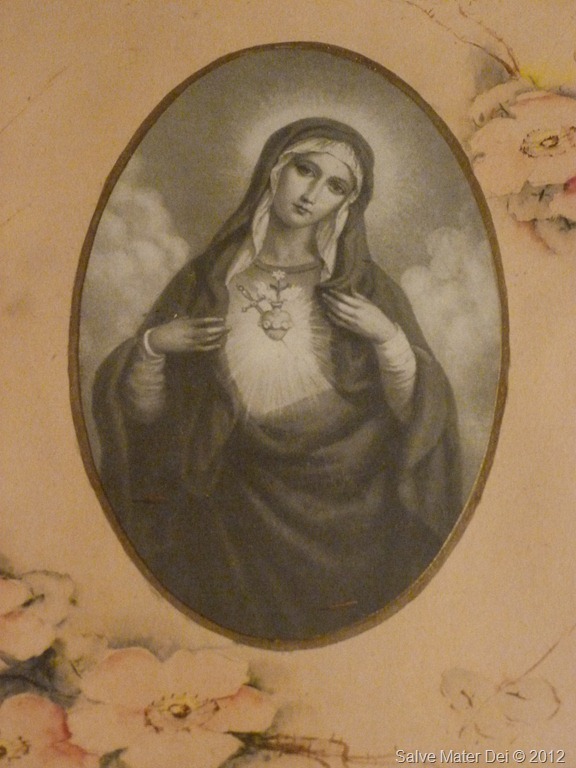 Ad Jesum per Mariam– through Jesus to Mary – the old adage affirms. Yes, Our Lady is the surest, most direct route to Her Divine Son, Our Lord Jesus Christ. Cognizant of this reality, the Holy Mother Church has traditionally reserved Saturday for veneration of Our Lady. This one day a week is set apart as a reminder of the benefit to our souls in seeking Mary’s powerful intercession. For we know that as the Mother of the King, Our Lady has a very special role, and her maternal supplication is uniquely effective. In ancient times, the mother of the king often had more power than any of the king’s many wives. This was true among the ancient Near Eastern Kingdoms, including the peoples of Assyria, Israel, and Egypt. With the practice of polygamy, the king often had many wives – recall Solomon reportedly espoused 700 women – and difficulty would certainly result were the king to favor the counsel of one wife in particular. Thus, the Queen Mother, or the gebirah, held the official position at court, and wielded great political influence. Mary is the Mother of the King of Kings, Lord of Lords. While the Old Testament prefigures her role as gebirah, she alone fulfills it, beginning in the New Testament and continuing through the end of time. Recall the Wedding at Cana, Our Lady confided the earnest needs of the young couple to Our Lord: “They have no wine (John 2:3).” Our Lord seemed to have another plan: “Woman, how does your concern affect Me? My hour has not yet come (John 2:4).” Yet, at her gentle, confident bidding, – “Do whatever He tells you (John 2: 5),” Our Lord immediately intervenes in a miraculous manner. At Our Lady’s humble, maternal request, Jesus turns His attention to even the most mundane of concerns, and acts swiftly. Our Lord will respond just as favorably to His Mother’s requests when they are uttered on our behalf as He did to her pleas for the wedding couple at Cana. Our Lady seeks nothing else than to bring us to her Divine Son, Jesus Christ. She knows our eternal happiness depends upon our fiat – our yes. She yearns to lead us along the path to sanctity, not for her sake, but for ours. Like any true mother, Mary is deeply concerned for our well-being, most especially our eternal salvation. 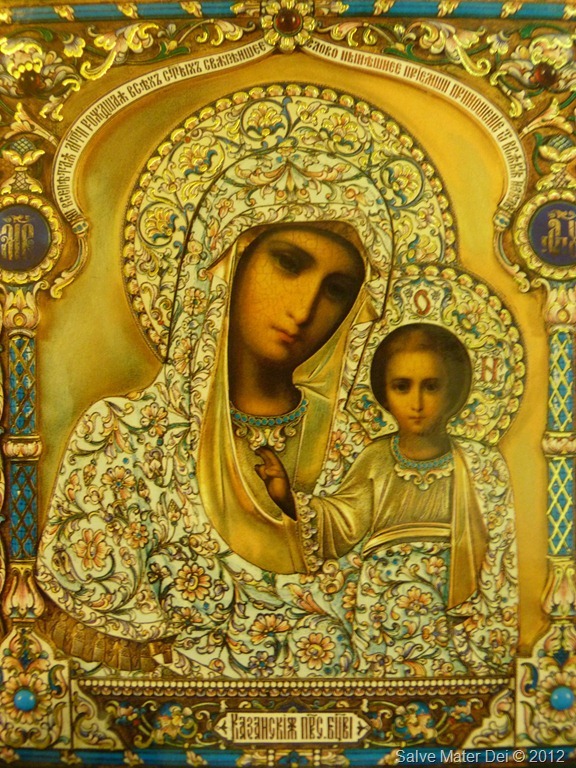 Over the centuries, Our Lady has perpetually proven her maternal love. Reports of her authentic apparitions and celestial assistance hail from every part of the globe. There are many lovely devotions that have sprung from these Heavenly visits. One of those I hold dear is the devotion to Our Lady’s Tears and Dolors. Through this devotion, one shares Our Lady’s sorrow while contemplating the most distressing moments of her life. Lent is a fitting time to begin this practice. This devotion is laden with grace for those who piously apply themselves to accompanying Our Lady during these times of trial. The anticipation of growing closer to Our Lord, by following along as Our Lady ratifies her fiat with every challenge is a tremendous reward in itself. Yet, St. Bridget of Sweden (1303-1373) related that the Blessed Mother additionally offered the following promises to those who honor her daily by praying seven Hail Mary’s while meditating on her Tears and Dolors. (1) I will grant peace to their families. (2) They will be enlightened about the Divine Mysteries. (3) I will console them in their pains and I will accompany them in their work. (4) I will give then as much as they ask for, as long as it does not oppose the Adorable Will of my Divine Son or the sanctification of their souls. (5) I will defend them in their spiritual battles with the infernal enemy and I will protect them at every instant of their lives. (6) I will visibly help them at the moment of their deaths; they will see the face of their Mother. (7) I have obtained (this grace) from my Divine Son, that those who propagate this devotion to my Tears and Dolors, will be taken directly from this earthly life to eternal happiness, since all of their sins will be forgiven and my son and I will be their eternal consolation and joy. While all that is required to honor Our Lady’s request is a Hail Mary, and meditation with each of the seven sorrows, over the years I have compiled the following reflection that I use to aid my personal meditation. (1) Simeon’s prophesy of the sword of sorrow piecing Mary’s Heart – Holiest Virgin, as you contemplate the sword of sorrow piercing Your Immaculate Heart, grant me and mine the grace to love deeply, even when pain and suffering accompany such love. (2) The Flight into Egypt – Holiest Virgin, as You, St. Joseph and the infant Jesus are forced to escape to the land of Egypt, grant me and mine the grace to flee from sin and obey the every whisper of God’s Holy Will. 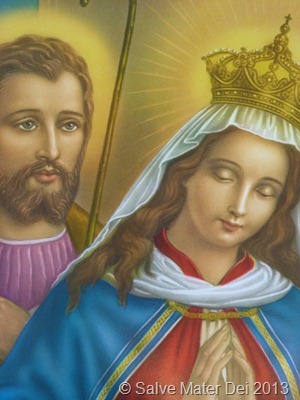 (3) The Loss of the Child in the Temple of Jerusalem – Holiest Virgin, as you anxiously search for the Child Jesus, help me and mine to always seek and find the Holy Face of God. (4) The Meeting of Jesus and Mary on the Way of the Cross – Holiest Virgin, as you gaze into the eyes of your beloved Son, watching helplessly as He carries the Cross upon His sacred shoulders, help me and mine to patiently carry our crosses and help others shoulder their burdens as well. 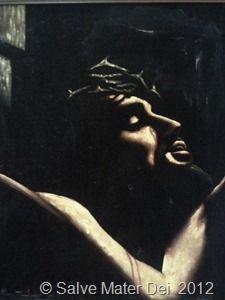 (5) The Crucifixion – Holiest Virgin, as you stand at the foot of the Cross beholding Jesus die in agony, imprint this image upon my soul, my mind and my heart, that I too may bear witness to it, and forever appreciate the enormity of His great sacrifice. (6) Jesus is laid in Mary’s arms.- Holiest Virgin, as the body of Jesus is laid in your arms, help me and mine forgive as you and your Divine Son do. 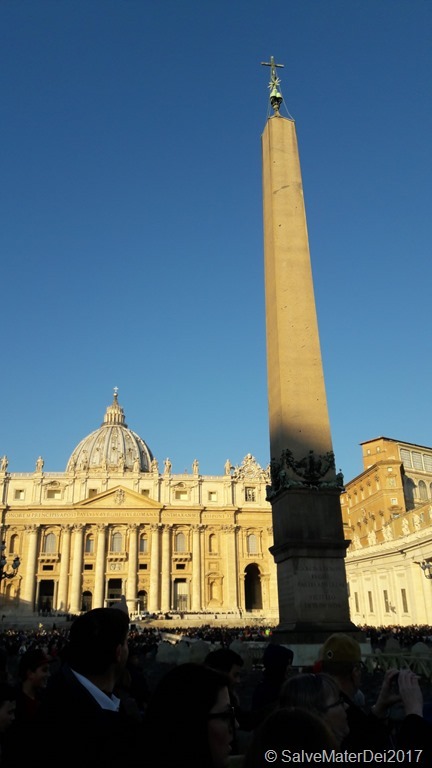 (7) The Burial of Christ – Holiness Virgin, as you prepare your Son’s body for burial, grant me and mine the grace that in living and dying with Christ, we will also rise with Him. As we journey together through Lent, may our Blessed Mother guide our steps that our efforts may bear fruit in Eternal life. “A clean heart create for me O God, and a steadfast Spirit renew within me (Psalm 51:12).” This simple sentiment from Ash Wednesday’s Responsorial Psalm encapsulates the entire purpose of Lent. We are powerless to restore our own hearts to their primitive purity – our spirits to the fortitude that comes with their Baptismal Grace. Alone we can do nothing. The best we can do is to answer God’s call to “Turn to me and be saved;” admitting our human weakness, and casting our cares upon His sacred shoulders. 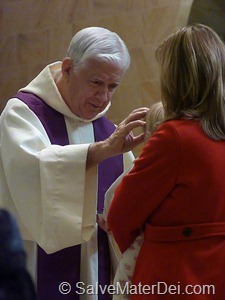 During this season of Lent we are confronted by our need to be healed, inside and out. We see sin in all its filth; coming face to face with our own guilt, and the need to be made clean. The readings this week both in Daily Mass and the Divine Office Liturgy of the Hours rouse our consciences from the slumber of complacency to an acute awareness of the need to repent. Ouch! Those words sting! Speaking as a premier backslider, I know this isn’t going to be easy. In this reading it is as if Our Lord’s gaze meets ours – His is full of love, yet compelling us to change. Are we willing to meet His gaze? It is decision time. Find the courage, resolve, and trust – it is time to transform. We must move from invitation to action and live the call to repentance. In today’s midmorning reading from the Divine Office, Our Lord explains that His discipline is itself a sign of His Love, and an invitation to healing. What a beautiful call to purification in anticipation of the Great Feast! Our daily purification prepares us for the Eucharist; and subsequently readies us for the Eternal Banquet of the Lord. Just as we respond at Holy Mass, “Lord, I am not worthy that You should enter under my roof; but only say the Word and I shall be healed.” Here too we are called to conversion, to accept penance, change our hearts, and open the veiled depths of our very selves to His abiding Love. Our Loving Savior makes it clear that this call to conversion in not a static event. Merely calling His name and acknowledging His Divinity is not sufficient; for even the demons know Jesus name, and acknowledge His authority. We are called to go beyond mere recognition to take up our crosses and truly follow Him. We are called to enter into the mystery of our redemption; walking through desert now, and later grasping the wood of cross on the way to Calvary. Each step is to be in sync with Jesus Christ. Yes, conversion must begin today, but it must also continue as long as we draw breath and our hearts beat within the core of our flesh.